On behalf of the staff, I want to welcome you to Washington Middle School Cyber-STEAM Academy. Our goal is to provide you with an academically challenging educational experience in fifth and sixth grade. The middle grades are an exciting transition period between elementary school and junior high school, providing you an opportune time to develop strong academic and behavioral habits. We look forward to playing a positive and vital role in that development. 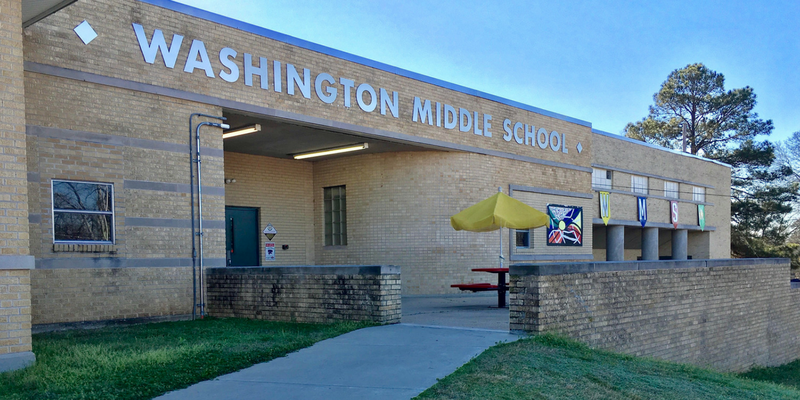 The WMS curriculum consists of five core classes: English, Reading, Social Studies, Science, and Math; a focus rotation; and one choice elective. This provides students a strong curriculum based upon the Common Core State Standards. Through these classes, students are exposed to many exciting “hands-on” educational opportunities through our focus and elective programs. At WMS, we encourage our students to develop their own individual academic paths. We believe our diverse curriculum helps each student discover his or her personal strengths. I hope you take advantage of all that WMS has to offer our students. The staff and I look forward to having you on campus and hope that you have a productive and successful year!